The musician, whose wistful gaze featured on dozens of TV variety shows in the 1970s and 1980s, has signed a major deal for his first album of new material to be released in the UK since the 1990s. Richard, 59, whose track Ballade Pour Adeline is one of the biggest selling recordings of all time, has spent much of his time playing live in the intervening years with his covers of film themes, popular hits and well-known classical pieces. But now he has returned to the studio to release an album through Decca Records. His re-emergence has been announced just days after the return of David Bowie following a 10-year recording drought. Although the French-born musician may not have quite the same level of cool, he is the world's most successful pianist according to Guinness World Records and has sold in excess of 85 million albums during his career. For his new album Romantique, he has recorded the theme from Schindler's List, a version of Leonard Cohen's Hallelujah and Einaudi's Le Onde as well as medleys from West Side Story and Les Miserables. It also includes a remastered version of his best-known track Ballade. 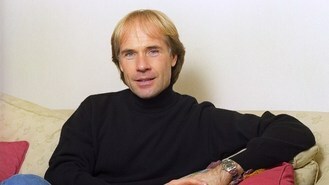 Dickon Stainer, the president of Decca Music Group, said: "The return of Richard Clayderman will create a new fever amongst his millions of fans desperate to hear new music from the original piano idol." The album will be released on February 4.